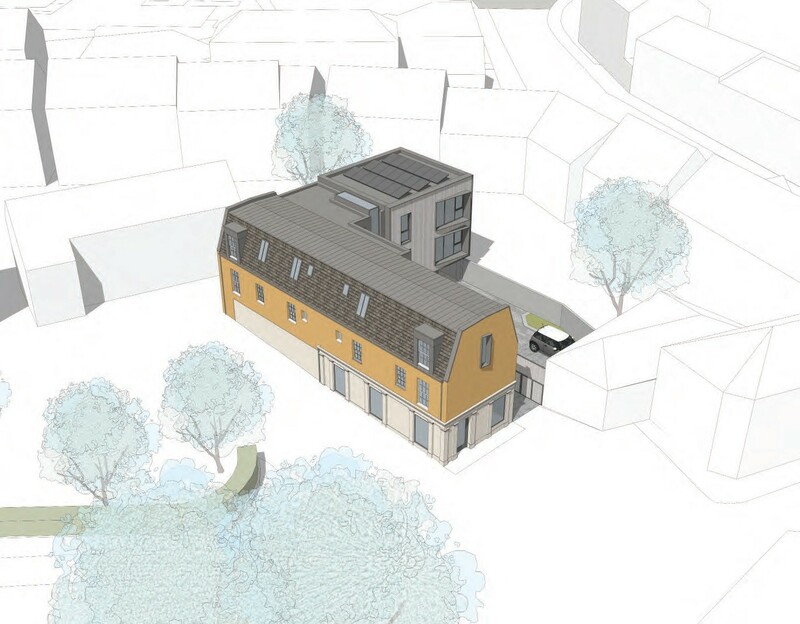 Penicuik’s historic heart is in line for some much-needed cosmetic improvements with an application to alter and extend a rundown property overlooking the town’s main square to provide six flats and one shop. Outline plans brought forward by Optimised Environments would see the current structure repaired and renovated with the addition of a contemporary rear wing above undercroft parking. Designated as an area of high priority by Midlothian Council the site joins a programme of streetscape enhancements being undertaken as part of wider regeneration efforts. Don't see the need for more housing, there is far too much building of houses going on in Penicuik with no facilities to cope with it eg doctors, schools and roads. #1 I doubt six flats will have much of an impact. A train station for the town would be great though. I would hope that the builders do not have all their building materials in the old South Kirk church hall car park as it is causing a lot of disruption to our day to day life and the noise of the trucks and smell of the fumes is affecting our health. Apart from croft street being a rat run for those trying to beat the lights. The current building is in a terrible state..but i don't see how more flats is going to benefit the town. I am not looking forward to the added congestion to the town and surrounding areas when the new housing is completed. A carpark would be more beneficial albeit small one. Excellent idea. There is a need for housing, especially affordable, despite what anyone says. An additional 6 flats will have little if any impact on the town and there will be some additional parking. The view as anyone entering the town from the south is pretty dismal and this project should improve things dramatically. Too much houses being built, no-where to shop, parking taken away, roads are going to be absolute nightmare. Not been discussed with the people of Penicuik. Penicuik is on its knees thanks to greed ???? A great idea, just what is needed but what about the block at the roadside.? Surely something is going to be done with that eyesore that is almost the first thing people see when they drive into Penicuik.